Slice and chop bitter gourd into small pieces. Boil the vegetable in water with some turmeric powder, salt and Tamarind paste. Once it is cooked strain the excess water so that the bitterness is reduced. Heat oil in a pan crackle mustard seeds,fry urad dal till brown and add red chillies and curry leaves. Saute the vegetable for few minutes add some more salt,chili powder and jaggery. Wait till the jaggery melts and becomes sticky.Add coconut and asafoetida and give it a stir. 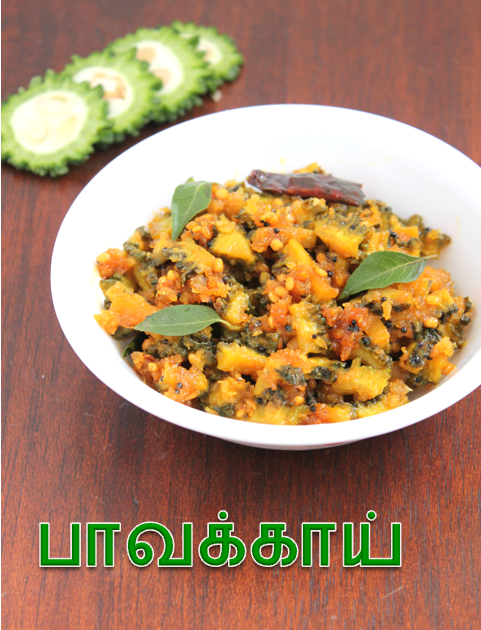 Interesting ingredients - never tried with coconut and jaggery - I love bitter gourd and will surely try this recipe. Thanks! Thank you shanta and maha for your comments! Many many Thanks Jaya. I love bitter gourd curry the most. I tried your recipe and it worked out good and really very good. The truth is my wife used to make it very good while I was at home in India, but now that I am alone here in USA I searched the net, I tried and worked out very very good. Hearty thanks again. And also I tried Tomato instead of Jagerry. That was also good. It was because we had tomatoes in abundance. I am glad mr Roney that you tried my recipe and liked it.Thank you for your response and happy cooking. 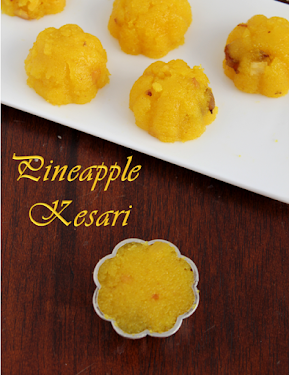 I have also tried this dish.. it has come out very well.. thanks for the recipe.. I made this today with tomato, as the other person had mentioned. Came out very good. I also added a handful of channa dhal (soaked for about 30 minutes, and, drained), along with seasoning. 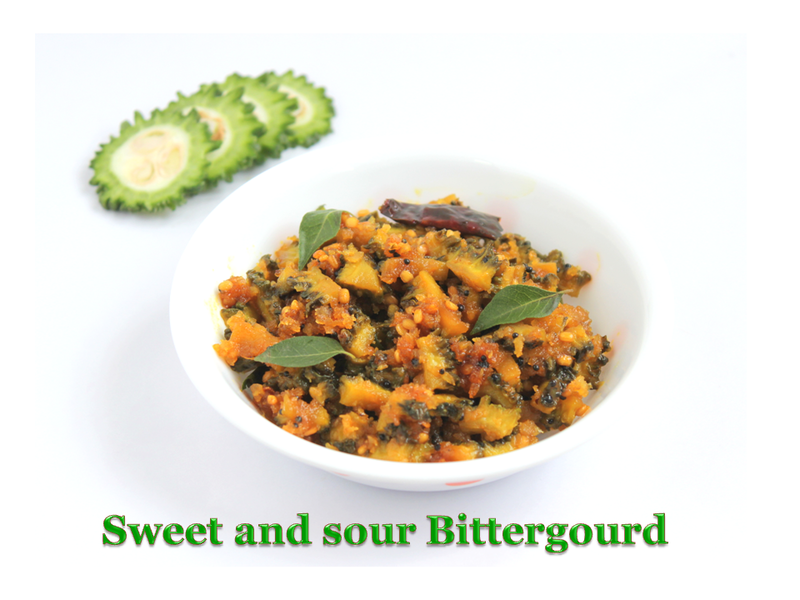 This dhal has very low glucose value (low glycemic index) that is good for diabetics along with bittergourd,so many thanks for this recipe.